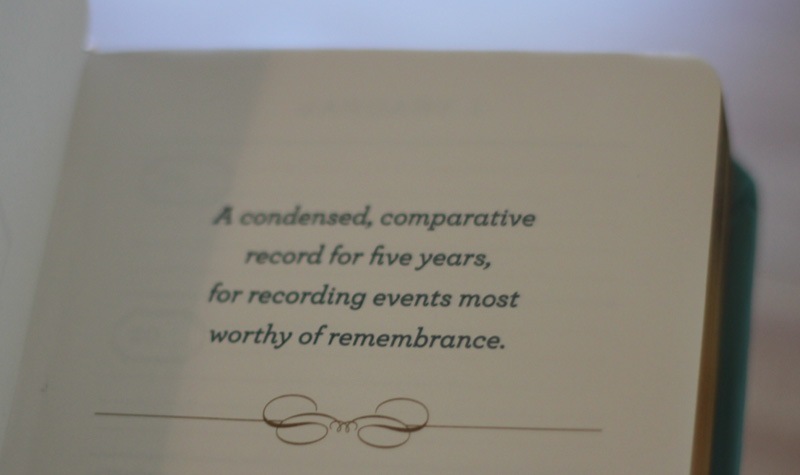 I saw a five year memory book on the blogosphere recently. I thought it was a cool idea and threw it up on my Amazon wishlist. Well, we were at PaperSource yesterday when I saw it there and decided to buy it. 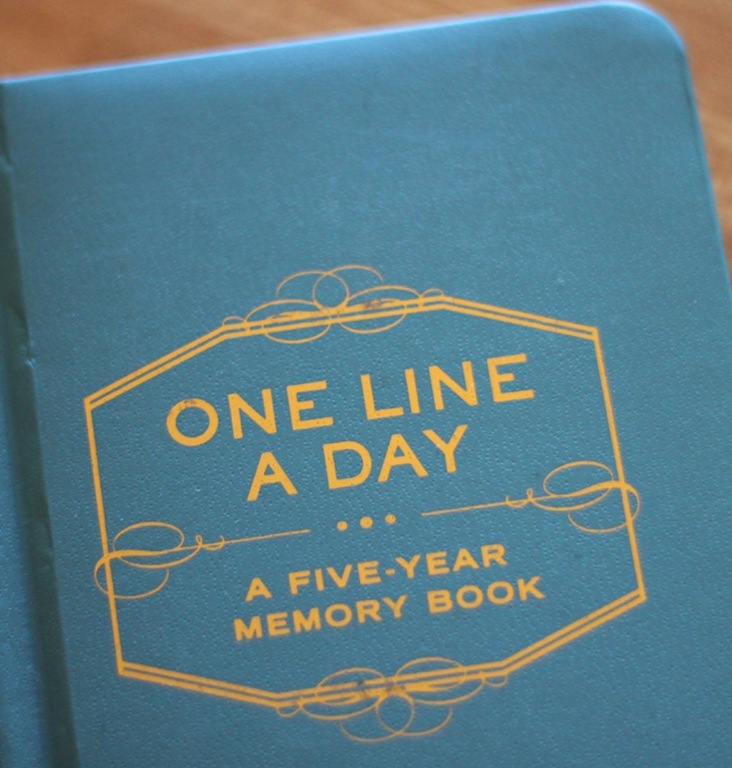 The idea is to write one sentence every day for five years. 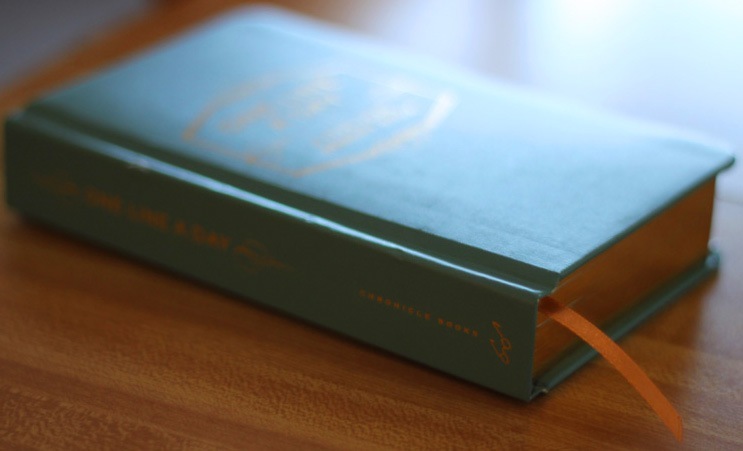 The book is organized by date with a small space to write the year and your thoughts. 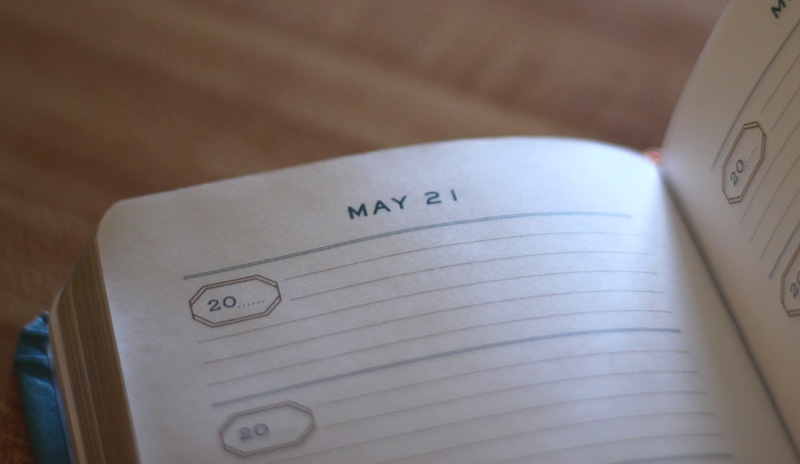 Each date page has five sections for entries. It’s like microblogging! I’m looking forward to filling in this page the most, our wedding day.